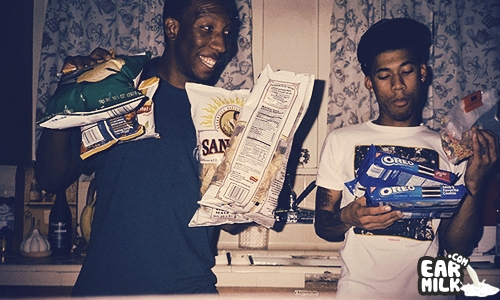 Two lesser known but highly regarded members of Hip-Hop collective, Odd Future, Hodgy Beats and Left Brain bring their talents together once ..
Late Pass– Odd Future and 1/2 MellowHype, Hodgy Beats has been laying relatively low compared to Odd Future members, Frank Ocean, ..
Hodgy Beats and the rest of OFWGKTA have really begun to impress in 2013. That isn't to say that they weren't doing big things before, it's ..
We knew yesterday's celebration of all things kush would bring about some interesting musical creations. Through the smoke and haze of 420 yesterday ..
“We accept the love we think we deserve.” It feels so corny to quote The Perks of Being a Wallflower, but it seems that this is the overarching ..
Toro Y Moi already dropped this track "So Many Details" which will be on his upcoming EP of the of the same name. The release drops on November .. It's been quite some time since we've gotten any new music from the Odd Future dynamic duo MellowHype, but that quickly changes as Hodgy Beats .. Since his fellow Odd Future member Frank Ocean had the blogs on a stand still Friday with the release of his first single "Pyramids," Hodgy ..